Discussion in 'Transformers Toy Discussion' started by Optimus Matt, Jan 31, 2008.
this are some knock offs o got from dollerama one it gold and the other is a long nosed red truck. i switched the heads and am painting it to look like prime. 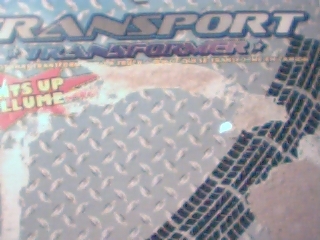 oh and there called transport transformer. The Prime/Inferno figure is pretty nifty, actually- the alt mode is awful, but its articulation and accessories are great. At $1, I used them as army-building generic Autobots. Their price makes them excellent cannon fodder.